As time goes on, people are becoming more and more concerned about their safety and the safety of their valuables. That’s why families are starting to use mobile tracking apps and GPS trackers for their children and other loved ones. Companies are also tracking and managing their vehicles, delivery trucks, cargo or employees. 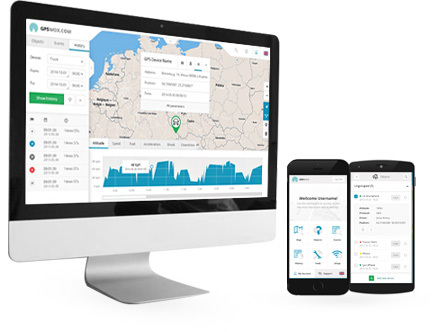 According to Global Market Insights, “the vehicle tracking market size was valued at $8 billion in 2015 and is anticipated to exceed $22 billion by 2022.” Really, there’s no doubt you should start GPS tracking business today! In order to make your business successful, you need to have a reliable and experienced business partner. 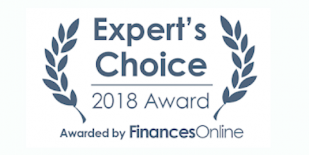 Why should you choose GPSWOX? The answer is simple: we’ve been in your place and we know how to succeed. In just in 4 years’ time, GPSWOX has become the market leader with over 100k users all around the world. In that time, we’ve learned the ins and outs of the GPS tracking market, learning what to avoid and what to target to see amazing profits. And all that information can be yours by choosing us as your GPS tracking partner. Over 500 costumers across the globe have already started their own profitable tracking businesses with GPSWOX. People love our software’s design and usability. “Simple to use” – this is what your users will be saying about your services. Watch the video manual. The GPSWOX software is suitable for any type of business or industry. You can track vehicles, bikes, boats, cargo, mobiles, people, pets, etc. 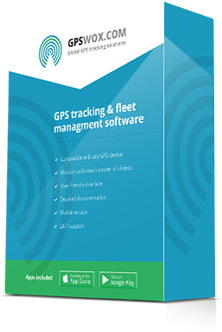 The software is compatible with 900+ GPS tracking devices, translated into 30 languages, and full of powerful features. Check out all the features. The GPSWOX platform has the most powerful admin and control panel. Watch the video manual. For full software and mobile app branding, check here. You can change the logo, modify the design and request new custom features. Get access to the API and source code. GPSWOX engineers will set up and run the GPS software for you. We also have international support via our Help Desk, mail, phone or Skype, and 24/7 urgent tech support. Making sure your GPS tracking business succeeds means knowing what you’re going to sell and to which audience. 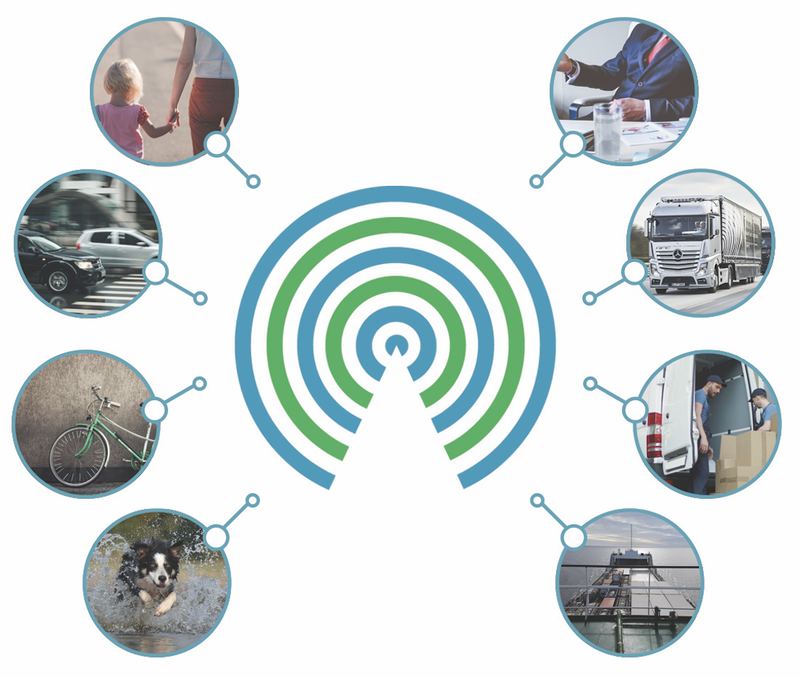 Luckily, the GPS tracking industry has lots of different niches you can specialize in, such as GPS tracking for fleets, consumer vehicles, children, pets, valuable goods, government institutions or NGOs, and much more. This will make your marketing easier, since you’ll have a specific audience in mind. And remember, once you succeed in one niche, you can easily branch out to cover other niches. From pets, you can branch out to children. From consumer vehicles, you can branch out to corporate vehicles. This software solution is perfect for companies with a limited budget. You will pay a monthly fee depending on the number of objects you track, starting from only $99/month. That way, you can plan your expenses more accurately, and when your business takes off, you can easily upgrade your plan. Get full branding: add your company logo, domain, email, etc. This software solution is suitable for companies that want to save money in the long term. 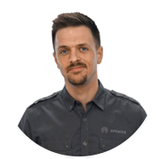 Instead of paying a monthly fee, companies can simply pay a one-time price for the lifetime software license. That way, as your business grows, you get a higher ROI on our white label software. Additionally, it will make your budget planning much easier, since you’ll be able to put your recurring revenue back into other investments. We know how important brand recognition and unique design are. In order to meet your business needs, we have developed a fully customizable white-label software. That means that you can adjust the look and feel of the software to fit your business, allowing for a seamless experience your users will love. Below are some examples of our software branding features. Add wallpaper, text, app store links, etc. Add your logo, favicon, change template or colours. 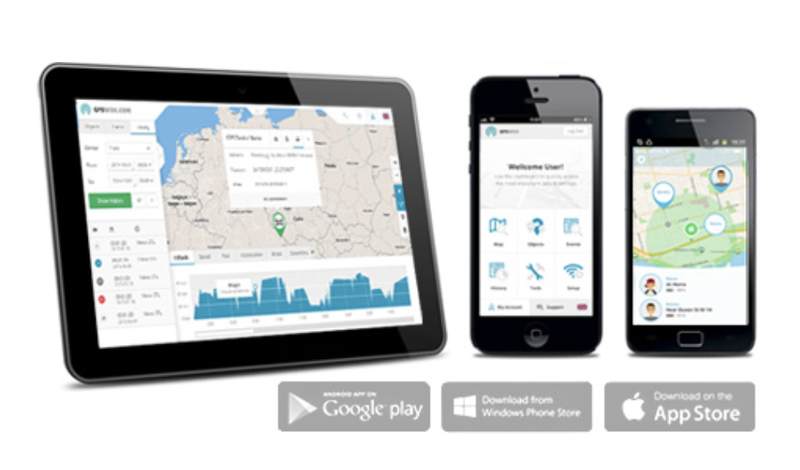 Mobile apps play a big role in the GPS tracking industry. Every day, millions of people look for tracking applications in the App Store or Google Play store. 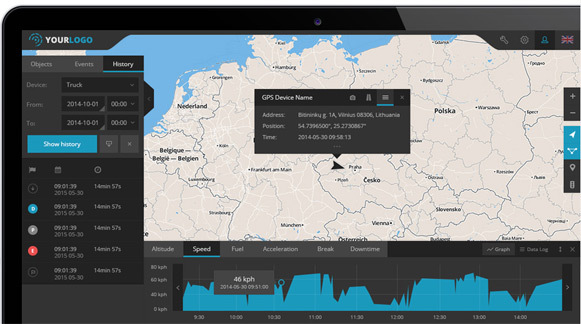 Your app can be listed in one of the top GPS tracking business. And here’s the great news: you don’t have to develop it from scratch or touch one line of code. 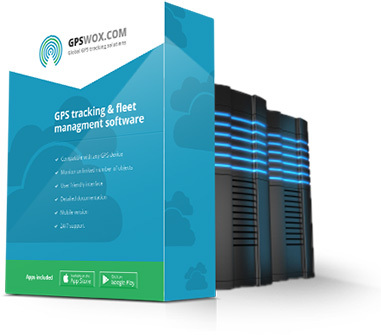 GPSWOX has developed the biggest range of tracking mobile apps in the market. You can simply choose which apps suits your business needs here. Note: all GPSWOX apps are white-label and can be branded for you, with your own logo, name, design, etc. You will be able to add and sell the apps in Google Play, the App Store or Windows Store. There are many GPS trackers sellers out there. The most important factors to take into account are the price, quality and functionality. Price is largely dependent on the quality of the device itself. That can be influenced by the quality of the materials it is built with, but it also includes where the device is built. We have tested different GPS trackers brands from China and we must admit that some of these have really good quality, such as Coban, Meitrack, Ulbotech, etc. Watch video about one of them. Functionality is what you'll be looking at once you've decided what your target audience is. If you're only looking to track the location of your personal car, then a simple Chinese GPS tracker will work. 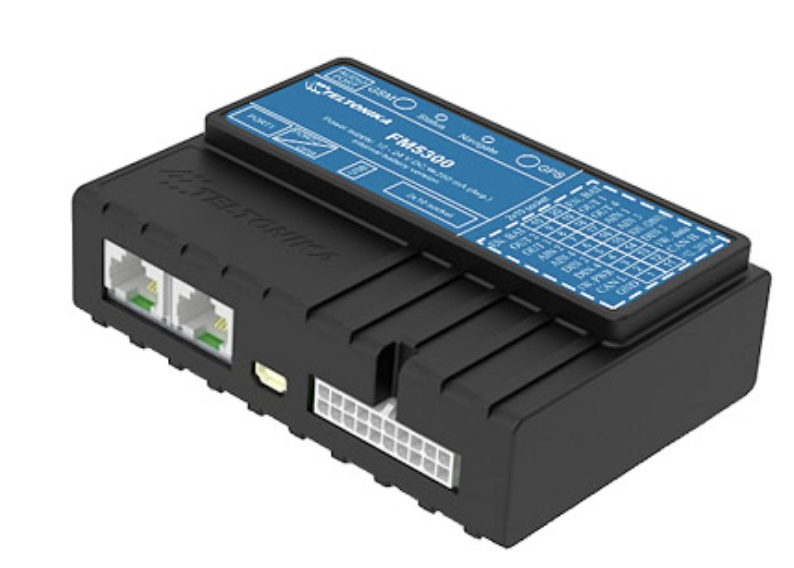 However, if you're looking to add other features, such as fuel level sensors, fuel flow meters, temperature sensors, locked-door statuses, etc., then you'll need a more sophisticated GPS tracker like Teltonika, which is made in Europe. 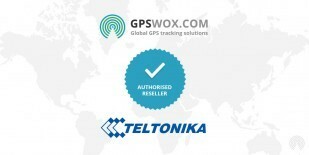 In the GPSWOX online store, we’ve decided to sell only the most reliable Teltonika trackers, check all our GPS trackers. A solid website is crucial for your business success, since it will help you establish credibility as a trusted company. However, creating a modern website can be very costly and time-consuming. To help make this easier for you, we provide website building services to create and offer you a ready-to-use professional website for a small monthly or lifetime price. Even more, since we’ve been in this business for more than 4 years, we already know what works and doesn’t when it comes to your website. Without advertising you won’t get customers – that much is obvious. However, how do you know which marketing channels are most profitable? In the beginning, try to find online sources where you can advertise for free, such as GPS tracking catalogs, free ad portals, Facebook groups, etc. Start advertising with Google Adwords and you will get visitors the same day. However, due to some keyword popularity and high search volumes, click prices can be high. In the long term, do SEO (search engine optimization). To rank higher in Google you need to do onsite and external optimization. You can find more info about this topic in other sources. And last but not least is social networks (Facebook, Twitter, etc.). Creating your own profile page there is free. However, to get people to follow you or get likes, you’ll need to buy ads. With the right targeting and ads, however, you can get visitors to your site for less than $0.01 per visitor. For better results, you’ll need to be creative and share interesting and useful content. 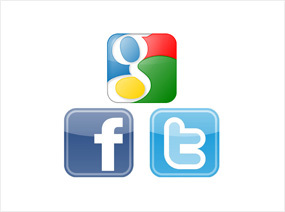 Note: we would not recommend advertising on other digital networks besides Google. You should also forget about advertising on TV, paper magazines or big outdoor campaigns, since it’s very expensive compared to digital marketing, and the targeted reach is much lower. As time goes on, try different online advertising channels, and you will see what works for you business better and where your ROI (return on investment) is highest. We hope you found this guide interesting and useful for starting your own tracking business. We have invested a lot of money and time in developing this tracking platform and apps. So now your task is simple – just take it, learn from our experience and get thousands of customers all around the world. If you have any questions, please click here and we`ll be happy to help you!